It might not have seemed like it at the time, but now it is clear: even as Christ hung on the Cross; even as he lay in the grave; God was at work subverting evil and redeeming it for good. Through the Cross we learn something of how God works through suffering; he enters hostile territory so that he might defeat evil from within and redeem it for good in fulfilment of promise. Apply this paradigm to the suffering of the Body of Christ (the Church) today, and believe that God is powerfully at work. Though it might not seem like it just now as persecution and conflict escalate, God is at work subverting evil and redeeming it for his good purpose. One great work that God is doing in our day is creating unity in the Body of Christ in answer to Jesus' High Priestly prayer which he prayed in the Garden of Gethsemane on the night in which he was betrayed (John 17). 'I do not ask for these only,' prayed Jesus, with reference to his disciples, 'but also for those who will believe in me through their word, that they may all be one ... that they may be one even as we are one ... that they may become perfectly one, so that the world may know that you sent me ...' (from John 17:20-26). Whilst the persecution is not unprecedented, our ability to respond most certainly is. Through today's globalised communication systems and networks, the Church can now be aware of persecution -- even as it unfolds, even on the other side of the world -- and can respond immediately for the saving of many lives. Furthermore, as the Church responds she is sanctified to become in practice what she is in theory: One Body. This makes for powerful witness. I believe that the 21st Century will go down in Christian history as the century in which God knitted together an increasingly global Church with cords of love forged in the flames of persecution ... that the world might believe. Our persecuted brothers and sisters need our prayers -- prayers God hears, answers and even uses in more ways than we may ever imagine. * MALI & BURKINA FASO (RLPB 445), where al-Qaeda and Islamic State affiliated jihadists are escalating terror in response to the anti-terror operations being conducted by French and African troops in the deserts of northern Mali. The main terror group, al-Qaeda affiliate JNIM (Jama'at Nusrat al-Islam wal-Muslimin / Group for the Support of Islam and Muslims) is holding five non-Muslims hostage for ransom, four of whom are Christian aid workers; three of them women. Please continue to pray that they will be rescued alive and restored to their loved ones and that God will intervene to restore security and liberty to West Africa so that mission might be revived across that desperately needy region. * NORTH KOREA (RLPB 446), after North and South Korea agreed to hold an Inter-Korean Summit (only the third ever -- the first for North Korean leader Kim Jong-un and the first on the south side of the border); and US President Donald Trump accepted an invitation from Pyongyang (delivered via Seoul) to meet with North Korean leader Kim Jong-un. As noted in RLPB 446, not only is the strategic situation totally new, so too are the three leaders. This may well be a unique window of opportunity in answer to the prayers of many. UPDATE: This Thursday 29 March, North and South Korea will each send a three-member delegation to the border truce village of Panmunjom where they will discuss logistics for the Inter-Korean Summit to be held in late April. Remember North Korea's needy people, in particular North Korea's long-suffering Church -- and pray, pray, pray. May God intervene to achieve more than we might ever ask or even imagine (Ephesians 3:20-21). 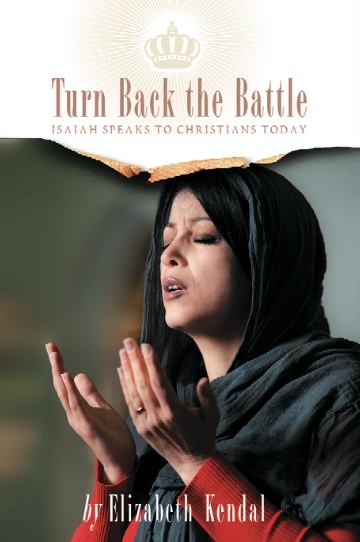 For more information and prayer points see RLPB 446. * TURKEY IN SYRIA (RLPB 447), specifically for Christians displaced by the Turkish-jihadist conquest of Afrin, Syria, and for Pastor Andrew Brunson who is currently languishing in a Turkish prison on manifestly false charges. 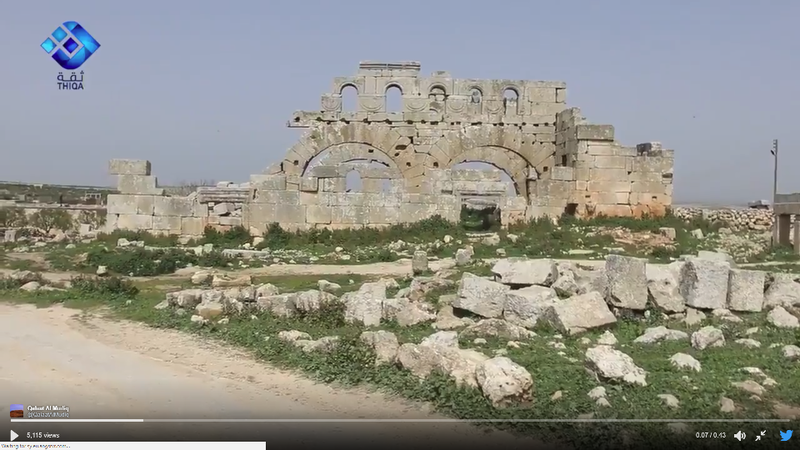 TURKEY IN SYRIA: The Directorate-General of the Syrian Department of Antiquities reports that Turkish air-raids have destroyed important Christian archaeological sites, specifically, the UNESCO World Heritage- listed archaeological site of Barad, which includes the remains of many Byzantine churches, monasteries and tombs dating back to the 4th and 5th centuries. Barad is 15km south of the city of Afrin and a mere 30km north-west of Aleppo city. Turkey is pushing deeper into Syria and has reportedly now taken Tell Rifaat (20km east), which the Kurds ceded without a fight. Pray for Afrin's displaced and traumatised believers and for all Christians now at risk in northern Aleppo province. PASTOR ANDREW BRUNSON Pastor Andrew Brunson's trial on espionage and terrorism-related charges is set to commence in a Turkish criminal court on 16 April. He faces up to 35 years in prison. As noted in RLPB 447, the Erdogan government is using Brunson as a bargaining chip in its dealings with the US. As one Turkish Christian leader reports, Christians in Turkey are increasingly being accused of supporting 'terrorists' (code for 'Kurds'). Consequently, apprehension and anxiety is growing in the churches. Despite the escalating sense of crisis, many Turkish Christian ministries continue to witness courageously, fully aware that spiritual transformation through Jesus Christ is ultimately the only solution for Turkey. 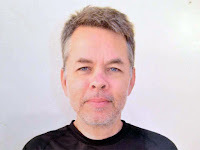 Pray for Turkey and her threatened, remnant Church; and for Pastor Andrew Brunson as he 'waits for the Lord' (Isaiah 40:31) in a Turkish prison cell. On 19 March 2018 militants belonging to the Muslim, mostly ethnic Peuhl (Fulani) and ironically named UPC (l'Union pour la Paix en Centrafrique / Union for Peace in the Central African Republic) clashed with local anti-balaka forces (indigenous and non-Muslim) at Alindao, 118km south-east of Bambari. Then on the morning of 21 March UPC fighters attacked Tagbara, a village some 74km north-east of Bambari, clashing with local anti-balaka forces. At least 40 local people were killed, while many more were wounded and displaced. Numerous homes were looted and torched. 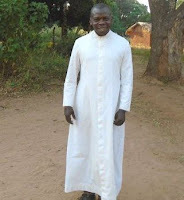 UPC militants also attacked the local church, killing the priest, Fr Joseph Desire Angbabata (48) as he intervened to protect refugees camped in the church compound. Most UPC fighters are ethnic Fulani Muslims from Chad. The UPC founder and Commander, Babba Ladde, is Chadian, whilst its president and second-in-command, Ali Darassa, is a war-lord from Niger. Ali Darassa led the attack in Tagbara. Community leaders are calling for him to be expelled from CAR. CAR's citizens, especially its Christian majority, feel utterly abandoned. Pray that God will intervene in Central African Republic. Christians are really suffering in India and Pakistan as violence continues to escalate in frequency and severity. The communal violence is driven by religio-political forces (Hindu nationalists in India and Islamic fundamentalists in Pakistan) and fuelled by the guarantee of impunity. There are so many cases of serious violence against Indian Christians for the month of March they simply cannot be dealt with in a paragraph. See Morning Star News and World Watch Monitor for updates. Christians in South Asia really are in a permanent state of crisis and desperately need our unceasing prayer support. Assyrian Christians murdered on 8 March. On 8 March three Assyrian Christians were murdered in Baghdad. 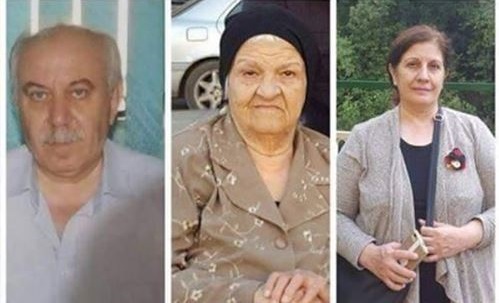 Dr Hisham Shafiq al-Maskuni (61), his wife, Dr Shaza Malik Dinno and her elderly mother, Khairiyah Dawood Abada, were stabbed to death during a violent home invasion. A few weeks earlier, a young Christian man named Samer Salah Addin was shot to death in front of his home. Fr Biyos Qasha of Baghdad's Maryos Church told Kurdish media that the message is loud and clear: there is no security for Christians in Baghdad, so get out while you can. 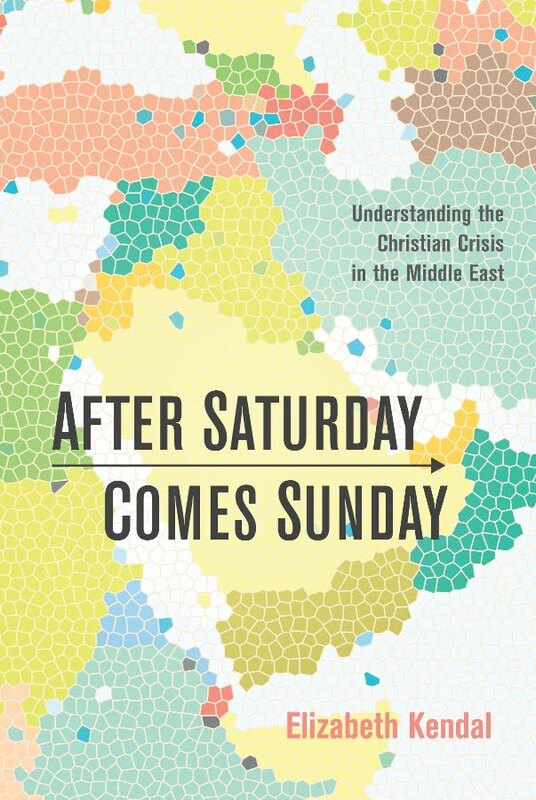 Iraq is anything but stable and the Christian Crisis in the Middle East is anything but over. Iraqi troops and Iranian-led Shi'ite militias are battling Islamic State forces just south of Kirkuk. Turkey is threatening to invade northern Iraq in pursuit of Kurdish 'terrorists'. Meanwhile, the future of Nineveh Province hangs in the balance. Deemed 'disputed territory', it is actually the heartland of the Christian Assyrian nation, the indigenous people of Iraq. May the Lord protect and sustain his precious people. On Wednesday morning 21 March a convoy of trucks rolled into Dapchi town, Yobe State, northern Nigeria. When the local people realised it was Boko Haram, they fled. However, when it became evident that Boko Haram was returning the girls they had kidnapped from Dapchi's Government Girls' Science and Technical College on 19 February, the city erupted in excitement. In all, 104 of the 110 girls were returned. 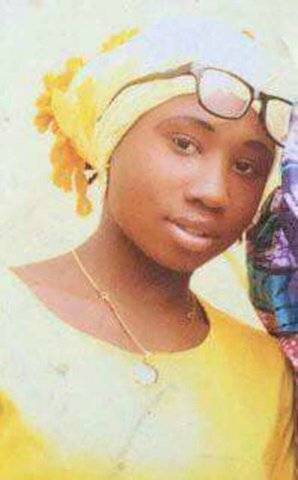 Five girls reportedly died during the abduction, and one girl, a Christian named Leah Sharibu, was 'held back', retained as a prisoner because she 'refused to co-operate'. According to the freed girls, the militants told Leah that she would not be released until she becomes a Muslim and recites the shahada (Islamic statement of faith). Aware of what their daughter must be suffering, Leah's parents were understandably shocked and distraught. They were, however, incredibly proud of Leah (15) for her enduring faithfulness to Jesus Christ. Numerous groups, including the Christian Lawyers Fellowship of Nigeria (CLASFON) and the Evangelical Church Winning All (ECWA), to which Leah and her parents belong, have appealed to the Buhari government to 'ensure the immediate release of Leah Sharibu and the other remaining Chibok girls'. [Kidnapped in April 2014, 110 mostly Christian 'Chibok girls' remain unaccounted for.] The Christian Association of Nigeria (CAN), which held a Day of Prayer for Leah on Sunday 25 March, is appealing for worldwide prayers. HIGHLANDS: World Watch Monitor reports that on 1 March four Hmong Christian families, comprising 24 people in all, were violently attacked by a mob led by the village chief. Four Christians required hospitalisation for serious injuries to their head and arms. As happens in neighbouring Laos, the Christians had been warned that if they did not return to their traditional animist religion then they would be driven from the village. The families' pastor is understood to be in talks with local authorities about the incident. Please pray. HANOI: Protestant Pastor Nguyen Trung Ton has long been active in Vietnam's pro-democracy movement. A vocal advocate for religious freedom, Ton was abducted in February 2017 by unknown assailants who took him into a forest in a mountainous area of Ha Tinh Province, where he was savagely beaten. The ordeal left him with a torn ligament and crushed leg muscles, injuries which have never fully healed. In July 2017 the Vietnamese government launched a crackdown on the online democracy group Brotherhood for Democracy. Ton was arrested, along with four others. The group's founder, Christian human rights attorney, Nguyen Van Dai, was already in prison in Hanoi (arrested Dec 2015). All stand accused of the serious crime of attempting to overthrow the regime. Ton's wife Nguyen Thi Lanh told Radio Free Asia that Ton has severe and constant pain in both legs, blurred vision and clearly needs medical care. 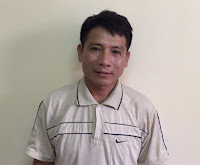 Please pray for Nguyen Trung Ton, Nguyen Van Dai and Vietnam's other Christian prisoners. The mostly Kurdish city of Afrin, in the far north-west of Syria's Aleppo Province, fell to Turkish-backed Free Syrian Army (FSA) forces on Sunday 18 March. Conflict monitors report that Turkey's eight-week campaign to capture Afrin has cost the lives of more than 280 civilians, more than 1500 Kurdish and allied fighters (including a British volunteer, 26-year-old Anna Campbell) and more than 400 pro-Ankara 'rebels'. According to the Turkish Armed Forces, only 46 Turkish soldiers died in the campaign. Sources report that, apart from Turkish regular troops and special forces, some 25,000 fighters fought under the banner of the FSA, most of whom are battle-hardened Islamists who have previously fought alongside al-Qaeda and Islamic State (IS). As reported in RLPBs 439 (24 Jan) and 440 (31 Jan), Afrin's minority mostly Armenian and Assyrian Christians sounded the alarm back in January, warning that the spectre of a Turkey-backed Islamist jihadist ethnic-religious slaughter loomed over Afrin. Despite having been used by the US as the club with which to smash IS in northern Syria, the Kurdish YPG and the mixed Kurd-Arab-Christian SDF (Syrian Democratic Forces) found themselves abandoned in Afrin. Lacking any anti-aircraft weapons, YPG and SDF commanders appealed to the US and UN for assistance, in particular for the skies over Afrin to be declared a no-fly zone. Their cries were in vain. On 20 February Syrian government troops deployed to help the Kurds defend Afrin were routed, with dozens killed in a barrage of Turkish shelling and airstrikes. On 24 February the UN Security Council issued a resolution calling on Turkey to implement a ceasefire so that humanitarian aid might go in and civilians might get out. Turkey ignored the resolution. The Apostolic nuncio to Syria, Cardinal Mario Zenari, described the situation in Afrin as 'hell on earth' and the worst violence he had ever seen. Flag of Turkey flies in northern Syria. Abandoned, encircled, out-gunned and facing the prospect of a protracted and exceedingly bloody urban conflict, the YPG and SDF withdrew -- along with tens of thousands of civilians -- before dawn on 18 March, enabling the Turkish and FSA forces to enter Afrin unopposed. After brief celebrations, the occupying forces set about looting every home and store in the city. The Kurds have vowed to commence a guerrilla-style fight-back against the occupiers, promising to be 'a constant nightmare for them'. Now that the city (just 40km north-east of Aleppo) has been ethnically cleansed, Turkey's Islamist and neo-Ottoman 'Sultan' Erdogan plans to fill it with Syrian Arab Sunni Islamists who will serve his interests. Erdogan wants to extend his control all the way to the Iraq border. The next town on the agenda is Manbij, which the US-backed SDF liberated from IS in August 2016, and in which come 2,000 US special forces troops remain stationed. Before Afrin fell, veteran Middle East reporter Dale Gavlak warned that Turkish-backed jihadists were insisting that there will be no room for Christians in Afrin. Kurds (including Yazidis) and Christians (most of whom are Armenian and Assyrian) have now been 'cleansed' out of Afrin. After speaking with local aid workers and human rights activists on the ground, Gavlak reported on 16 March, 'Jihadists allied with Turkey are hunting down religious minorities to kill them in Syria's north-west ... Turkey is using hardline jihadists proxies, including Islamic State and al-Qaeda militants, to eliminate the presence of Kurds and other ethnic and religious minorities along its border.' The situation is dire. Those who remember the Armenian Genocide may well have a sense of déjà vu. * our merciful Lord Jesus will make his presence known amongst his traumatised people; may those who are wounded experience healing; may those who grieve and are traumatised be comforted; and may those who are discouraged find reason to hope. * God Almighty, our Heavenly Father, will display his awesome power and sovereign authority and intervene in Syria and wider Mesopotamia, to the benefit of his faithful people. On 18 March Syria's mostly Kurdish city of Afrin fell to Turkish-backed forces. Fighting alongside Turkish regular troops and special forces were some 25,000 Free Syrian Army fighters, mostly battle-hardened Islamists. Though backed by the US when smashing IS in Syria, the Kurdish YPG and Kurd-Arab-Christian Syrian Democratic Forces found themselves abandoned in Afrin. Though Syrian government forces came to assist, they were routed in a barrage of shelling and air-strikes. Hundreds of civilians have been killed and wounded; many thousands are now displaced from what had long been one of Syria's great safe havens. Sources on the ground report that 'Jihadists allied with Turkey are hunting down [Christian and other] religious minorities to kill them in Syria's north-west [and] along its border'. Please pray for Syria and its Christians! 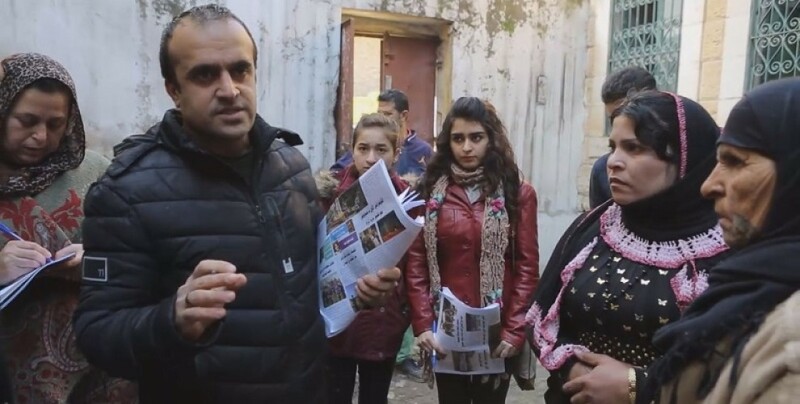 Pastor Andrew Brunson (50) and his wife Norine (American citizens) had raised a family and ministered in Izmir, Turkey, for more than two decades before being arrested and threatened with deportation in October 2016, in the wake of the failed July 2016 alleged Gülenist coup against the Erdogan government. [Background, RLPB 367, Turkey: Christians Face Elevated Risk (20 July 2016).] Brunson has now been in detention for almost 18 months. When representatives of the US Commission on International Religious Freedom (USCIRF) visited him on 5 October 2017, they found him in shock, bewildered, distressed and thin, having lost some 22kg (50lbs) primarily due to stress. On 16 March the Second High Penal Court in Izmir Province accepted the indictment against Brunson prepared by the Public Prosecutors Office. Brunson is accused of carrying out espionage and organisational activities on behalf of the Gülenist movement, which, ever since his spat with Fethullah Gülen, Erdogan has deemed it to be a terrorist organisation. Prosecutors are demanding at least 35 years in prison: 15 years for 'committing crimes on behalf of terror organisations without being a member' and up to 20 years for 'political or military espionage'. Soner Tufan, spokesman of the Association of Protestant Churches in Turkey, described the ludicrous charges as 'an insult and offence to reason'. In September 2017 President Erdogan openly and unashamedly linked the plight of Pastor Brunson to that of the Muslim cleric Fethullah Gülen, who has lived in self-imposed exile in the US since 1999. Erdogan offered to trade with the US, essentially saying you give us our 'pastor' [Gülen] and we will give you yours [Brunson]. As noted in RLPB 389 (21 Dec 2016) Brunson's situation 'is dire'. * May the Lord sustain, comfort and encourage Pastor Andrew Brunson both in prison and throughout his trial. May all lies and injustices be exposed and denounced. May Pastor Brunson be vindicated, released and reunited with his family. The announcement on 8 March, that US President Donald Trump will meet with North Korean leader Kim Jong-un, sent shockwaves throughout north-east Asia and left many analysts and pundits around the world reeling. The announcement is the culmination of a month of fast-moving high level diplomacy which included North-South rapprochement during the Winter Olympics (9-25 February). This was followed by a reciprocal visit by a high-level delegation from the South to the North on 5-6 March, which included dinner with Kim Jong-un himself. It was at the 6 March meeting in Pyongyang that the parties agreed to hold an Inter-Korean Summit in April. If it takes place it will be only the third Inter-Korean Summit ever held -- the previous summits being in 2000 and 2007 -- and the first to take place on the south side of the border. Critically, the South Korean delegation in Pyongyang was tasked with delivering an invitation to President Trump from North Korean leader Kim Jong-un, requesting they meet for bilateral talks. To the surprise (and even shock) of many, President Trump immediately accepted. If it takes place it will be historic, for it will be the first time a sitting US president has met with the leader of North Korea since the state was established in 1948.
station in Busan, May 2017. Understandably, observers are cautious; some are deeply sceptical; others are derisive. Many are yawning, saying, 'We have been here before.' In reality, however, the strategic situation today is entirely different and the persons involved are entirely new and are beginning, rather than ending, their terms. We have a new North Korean leader, Kim Jong-un (35), who, apart from being shrewd and ruthless, is Swiss-educated and a big fan of American basketball and popular culture (meaning he is probably more interested in survival than ideology). We have a new and totally unconventional US president in Donald Trump, inaugurated in January 2017. We also have a new South Korean president, the hugely popular Moon Jae-in (65) -- elected in May -- for whom detente with the North is a priority, essentially because it is personal. Moon's parents fled the North as refugees during the Korean War. 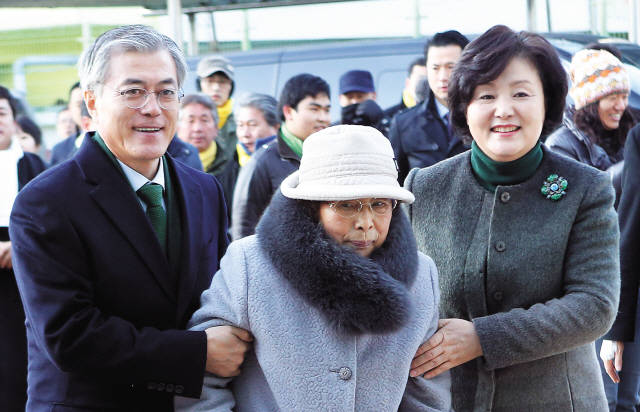 He has stated that when peace comes, the first thing he will do is take his 90-year-old mother to visit her home town of Hungnam, an east coastal city 300km north-east of Pyongyang. As providence would have it, both Presidents Moon and Trump have enacted the same alternating dual-track approach to North Korea: ramping up extreme pressure while intermittently (mostly behind the scenes) offering a way out through dialogue. Portrayed as 'dove' and 'hawk', together they have also made an excellent 'good cop, bad cop' combination. Meanwhile, Kim has advanced his weapons program to the point that the regime now feels relatively secure. Whilst Kim might be willing to talk about denuclearisation, he will not denuclearise [see: RLPB 423 (13 Sep 2017)]. So as not to derail the process, Trump may well settle for a 'temporary' (but in reality indefinite) total freeze, complete with inspections and rigorous monitoring to prevent proliferation. Whilst this would infuriate many in Washington (for whom options seem limited to regime change or bombing), it would create an environment in which the long and arduous process of detente can take place. With detente would come a vast array of prospects. South Korea is keen to re-engage with the North, in particular to reopen the Kaesong Industrial Park shut down by Moon's predecessor and to resume family reunions. 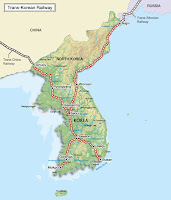 Russia, whose Far East shares a border with North Korea, is also keen to engage, particularly to connect the Trans-Korean railway to the Trans-Siberian railway. Not only would this be huge for north-east Asian trade, but it would also serve as competition to China's Belt Road Initiative (BRI). 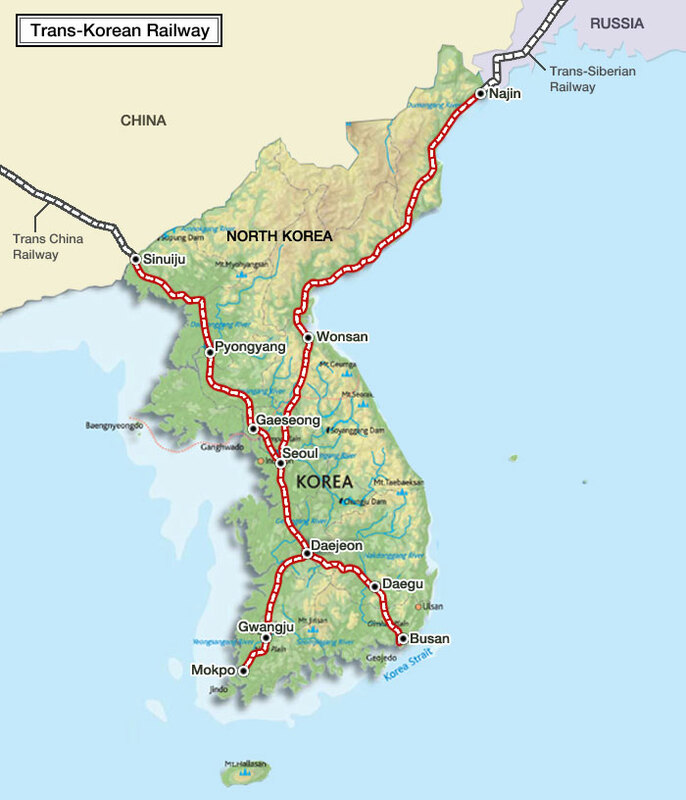 Russia is also eager to construct a Trans-Korean pipeline to supply natural gas to the peninsula. Enabled by security, these measures could facilitate the North's slow but sure transformation. Most critically, these measures would draw North Korea out of Communist China's sphere of influence and into that of predominantly Christian South Korea, Russia and the US. This would be good news indeed for the Church in North Korea. * intervene creatively in the Korean Peninsula, according to his perfect wisdom, in line with his boundless grace, to bring peace, transformation and liberty, to the glory of his name. 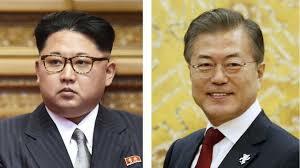 * take and use North Korean leader Kim Jong-un, US President Donald Trump and South Korean President Moon Jae-in, as his instruments, for his purpose, in answer to the prayers of many. The 8 March announcement that US President Trump has agreed to meet with North Korean leader Kim Jong-un rocked the world. Understandably, observers are cautious; some deeply sceptical; others derisive. Many are pessimistic, insisting we have seen all this before. Yet, in reality, the strategic situation today is entirely different and the persons involved -- North Korea's Kim Jong-un, USA's President Trump and South Korea's President Moon Jae-in -- are all new and are beginning, not ending, their terms. Detente could pave the way for the slow but sure transformation of North Korea. It could also draw North Korea out from the shadow of Communist China and into the sphere of predominantly Christian South Korea, Russia and the USA to the benefit of the Church in North Korea! Please pray. Since the Joint Force became operational in November 2017 violence has escalated markedly. As fighting escalates, so too does JNIM's need for large quantities of cash. 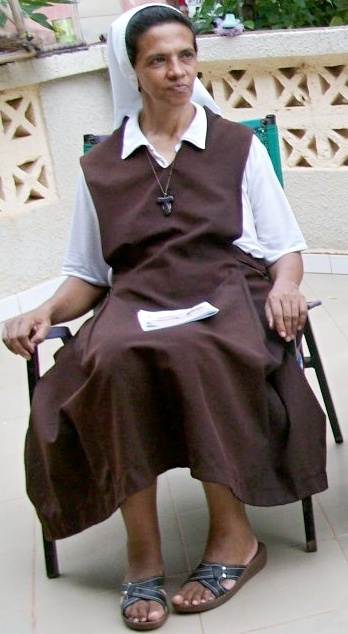 On 29 January JNIM released a video featuring captive Colombian nun Gloria Narvaez. Presenting Narvaez as abandoned, JNIM directed its appeal first to Pope Francis and then to Narvaez's family. During the night of 13-14 February, French troops operating in north-eastern Mali launched co-ordinated attacks on a jihadist base near Tinzaouaten on the border with Algeria. The assault, in which air strikes were followed by helicopter assaults and engagement on the ground, resulted in at least 20 senior jihadists being killed or captured and a large quantity of weapons and documents being seized. Among the dead were six high level JNIM commanders, including JNIM's co-founder and senior leader, Hasan al Ansari. Retaliation was all but guaranteed. Sophie Petronin, in better times. On 1 March JNIM released a short video featuring French hostage Sophie Petronin. A doctor specialising in nutrition and tropical diseases, Petronin founded and ran the medical charity 'Aide a Gao' (Help Gao). She had served the children of Gao, Mali, for 15 years before being abducted on 24 December 2016. Entitled 'S.O.S, Save Old Sophie', the video shows Petronin (72) lying on a cot looking exceedingly frail with an improvised IV infusion bag and medications nearby. Over the images, audio of French President Emmanuel Macron saying 'I will protect you' plays on a loop. The message is clear: Petronin's health is deteriorating; if you want her alive, you will need to ransom her quickly. Hours later, on Friday 2 March, JNIM staged a devastating terror attack in Burkina Faso's capital city, Ouagadougou. At least eight jihadists armed with grenades and firearms, working in two groups of four or five, targeted the French Embassy and Army headquarters. Army headquarters was also struck with a massive car-bomb. The brazen co-ordinated attacks in the city centre left more than 30 dead and 85 wounded (ICG analysis 5 March]. On 3 March JNIM claimed responsibility and confirmed that the attack was retaliation for the 13-14 February operation that killed JNIM leader Hasan al Ansari. On Monday 15 January thousands of local residents took to the streets of Djibo in northern Burkina Faso to mark the second anniversary of the abduction of their beloved doctor. 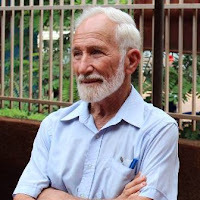 The clinic Dr Ken Elliot (82) built and had run with his wife Jocelyn since 1972 -- which is still the only medical clinic in that remote, impoverished region -- has been closed since Dr Elliot's abduction. Before he was taken, Dr Elliot had been hoping to find someone to take over the practice as the Elliots are long past 'retirement' age. Indeed, the four Christian aid workers presently held by JNIM are not merely suffering believers targeted for their faith. 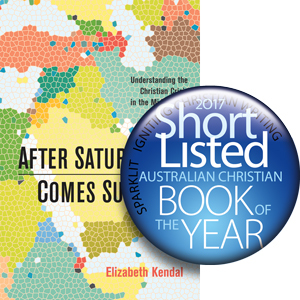 Each one represents a frontline Christian ministry that had been taking the very practical love of God into a dark and desperately needy region. How beautiful in the desert are the feet of those who bring good news ... (inspired by Isaiah 52:7). 'We do not wrestle against flesh and blood, but against the rulers, against the authorities, against the cosmic powers over this present darkness, against the spiritual forces of evil in the heavenly places' (from Ephesians 6:10-18 ESV). * God Almighty will 'bare his holy arm' (roll up his sleeves) 'before the eyes of all the nations, and that all the ends of the earth shall see the salvation of our God' (from Isaiah 52:10); may the Lord intervene to restore security and liberty to the Sahel -- ridding it of the Islamist-jihadist threat -- so Christian ministry might resume in earnest. * God will sustain -- physically, emotionally and spiritually -- and ultimately deliver JNIM's five remaining hostages: Gloria Narvaez (Colombia), Sophie Petronin (France), Beatrice Stockly (Switzerland), Ken Elliot (Australia) and Iulian Ghergut (Romania). * God will not permit the devil to have a victory here; may the Lord call, equip and send out workers into this desolate and needy harvest field (see Matthew 9:35-38). 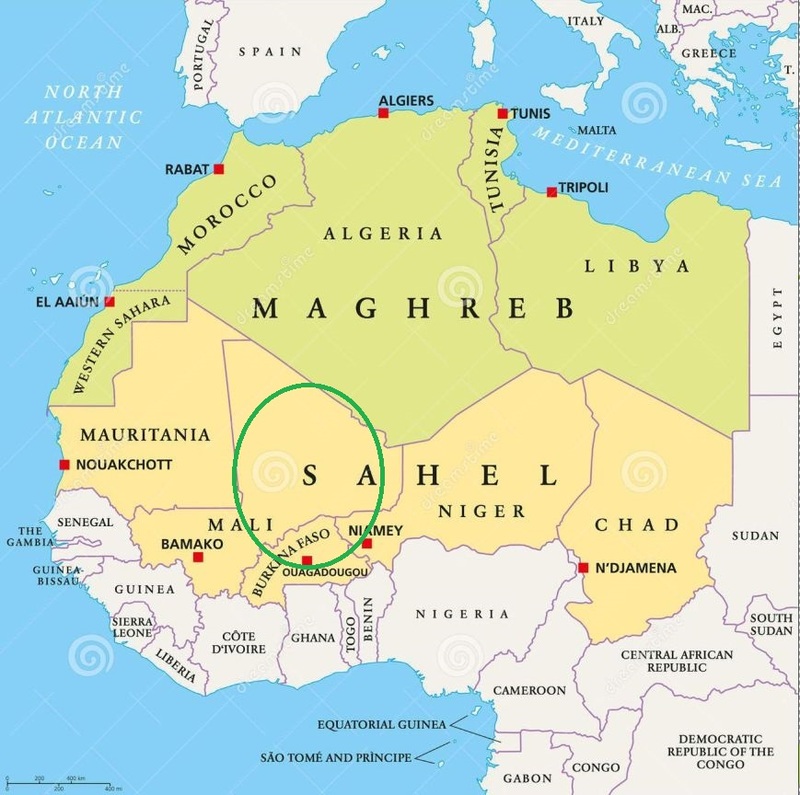 Battles rage between the Mali-based al-Qaeda alliance known as JNIM and the French and G5 Sahel Cross-Border Joint Force troops tasked with combating terrorism in the Sahel. On 14-15 February French troops scored a major victory against JNIM in north-east Mali, killing six of its senior leaders, including its co-founder. On 2 March, having already promised retaliation, JNIM militants co-ordinated attacks in Burkina Faso's capital, Ouagadougou. The attacks, targeting the French Embassy and Army HQ, left 30 dead and 85 wounded. As violence has escalated so too has JNIM's need for cash. Consequently, JNIM -- which is holding four Christian aid workers and a Romanian for ransom -- has released two videos, featuring two of its five hostages. These captives are gravely imperilled. Please pray that God Almighty will intervene.